This weekend there will be science marches around the globe. Scientists and science proponents will gather to provide a visible sign of support for work that benefits the public, the environment, and the world in innumerable ways. The march has been highly publicized – rightfully so, because it serves as a reminder that scientific research and scientists can be threatened in a variety of ways that can have consequences with breadth and depth that should be of concern for society as a whole. This week there will also be another event that has potential for consequences for science and public health. But it is neither a public event, nor one that has been publicized. The private event is a workshop titled, “The necessity of the use of non-human primate models in research.” The workshop is supported by Johns Hopkins University and is organized by Prof. Jeff Kahn in the Berman Institute for Bioethics, with participants that include philosophers, bioethicists, a leader of the Humane Society of the US, veterinarians, and scientists– all by invitation only (see roster in workshop agenda below). Its stated goals and approach are: “To help address the issues of the use of NHPs in research, we are convening this working group to examine the science, ethics, and policy aspects of the use of NHPs in biomedical and behavioral research and testing, with the goal of identifying consensus findings, conclusions, and recommendations. The focus of the working group will be to evaluate the current and potential future uses of NHP models, drawing on the approach used in the 2011 IOM Report “Chimpanzees in Biomedical and Behavioral Research: Assessing the Necessity” (IOM, 2011). In other words, the working group, privately convened, is intent on replicating the 2011 IOM process applied to chimpanzees in order to produce their own principles and criteria for assessing nonhuman primate research broadly. This process should cause grave concern for scientists and for the public who rely on research conducted with nonhuman primates. Consideration of the ethical justification for research and of the care for animals in research occurs at many levels and in public space. Public health, including the interests of patients and of society as a whole, is integral to those decisions. The scientific community provides expert knowledge about what types of studies are needed for progress in the basic understanding of biology, brain, behavior, and disease and also about how to move forward with new prevention, intervention, and treatment to address health challenges. Funding agencies, such as the National Institutes of Health, are charged by the public to make decisions about science and do so through a process that involves multiple layers of expert review. Federal agencies also oversee research and standards of care for humans and animals involved in studies and provide opportunities for the public to comment on standards and to benefit from decisions. The private workshop has the appearance of being secretive while also directly opposing the processes in place for responsible public decision-making. As such, it appears to be yet another attempt to influence decisions about science without adequately representing either public interests or the breadth and depth of expertise in the scientific community. Without adequate scientific representation the workshop conclusions cannot be taken as adequately representative of the current state of scientific knowledge. Without adequate representation of the public agencies that safeguard societal interests in scientific and medical progress the workshop conclusions cannot be taken as representative of fact-informed, balanced consideration of research. Finally, without consideration informed by understanding the fundamental characteristics of the scientific process, the workshop conclusions will only reflect an agenda biased to reach a particular conclusion. As it is framed, it appears that the question of “necessity” is one that cannot account well for the role of basic research, of uncertainty, and of the difference between decisions based in a particular set of values and decisions about the best scientific course of action to answer questions and advance understanding of human and animal health. For all of these reasons, the reports emanating from this private workshop must be critically examined with healthy skepticism, rather than taken as an authoritative account. We remain concerned that the products of a workshop will serve to advance an agenda that is harmful to public interests in scientific research. [Note: If you would like to sign on to this letter please add your name to the comments]. Posted on April 17, 2017 April 19, 2017 by EditorPosted in News, Science NewsTagged animal research, animal welfare, basic research, Ethics, Jeffrey Kahn, NIH, primate research, science, us, workshop. Previous Previous post: Research Roundup: A new approach to treating Parkinson’s, designer pig organs, the benefits of dragon blood, and more! On the other hand, Speaking of Research cheered for last year’s NIH symposium that was supposed to be about the ethics of primate research but which didn’t include any experts on primate cognition or primates’ natural behavior, and which didn’t have any presentations from ethicists. So you can’t really claim the moral high ground here on calling for a truly open and informed debate on this topic. This workshop looks like a response necessitated by the inadequate efforts by the NIH. While the focus of NIH working group may not have included a full discussion on the basic concept of whether primates or any animals should be used in research regardless of the cost-benefit, the organizers solicited open input from the scientific community on who should be invited to attend to listen and or speak. That certainly does not seem to be the case here. Almost every major medical advance during the last century has been made possible through research in animals. Because of their close anatomical, physiological and behavioral similarity to humans, nonhuman primates provide an indispensable translational bridge between basic laboratory studies and human clinical applications. Society is currently facing enormous medical challenges in infectious diseases and brain disorders that include AIDS, cancer, substance abuse, neuropsychiatric illnesses, and neurodegenerative diseases for which nonhuman primates provide the best models and the best hope for improved treatment. Carefully and humanely conducted research involving human and nonhuman primates as research subjects is beneficial to all primates, and is critical to responsible health care and conservation. Joseph M. Erwin, PhD, Independent Consultant and Research Professor, George Washington University, Washington, D.C.
Sherrie Jean, DVM, DACLAM, Associate Veterinarian, Yerkes National Primate Research Center. Non-human primate research, as with other animal research, provides critical insights needed to develop effective strategies to treat human diseases and disorders. I agree with the letter, please consider me a co-signer. It is absurd to discuss the “necessity” of research and the knowledge it gains us. 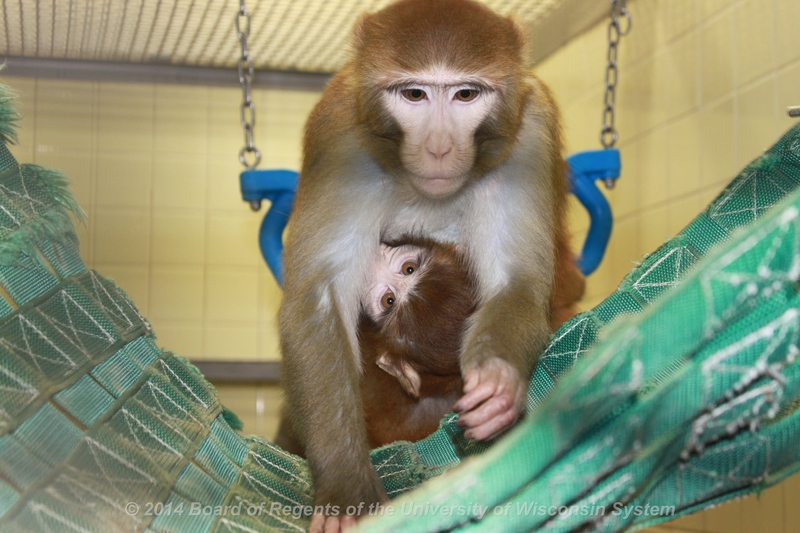 Let’s put in the ethical balance the consequences of abandoning primate research. How ethical is to stand by human suffering knowing full well that research can give us the knowledge to intervene in meaningful ways? Choice of dinner venue by the organizers (http://la-tavola.com/dinner-menu/) suggests they have no qualms about the use of animals for food. I can imagine them discussing how to ban research with primates over some “Carpaccio di Manzo”. Perhaps they should have started with a private workshop on the ethics of Hamburger instead? So much for their ethical choices. I support the use of nonhuman primates in research. Their use is necessary for exploring a broad range of research topics. I support biomedical research, including ethical use of non-human primates. As a frequent patient, I depend on animal research. This is directly from the Animal Working Group Meeting 1 Briefing Book link above. This ideal is as about biased as you can get. How about a select few stakeholders that have the same opinion as you do. Travis, we agree with your stance that the panel should be as balanced as possible. It’s important to note, however, so that anyone reading these comments is aware – the quote you pulled is from a paper included in the Briefing Book, it is not a quote from the organizers in the Briefing Book about the workshop itself. Nonhuman primate research is fundamental to our understanding of immunology, physiology and medicine, and it will provide our next generation of small and large molecule drugs, and vaccines. I agree with the content of this letter. The question of necessity has been settled. A secret workshop on the “necessity” of research involving non-human primates will unfold over the next few days. This workshop involves very capable scientists, but the agenda fails to adequately address the range of scientific, ethical and social factors that plan into decision-making on this topic. It is a poorly conceived attempt to address a topic of fundamental public concern without adequate transparency or input. The use of nonhuman primates is justified each and every day in protocol approvals, grant reviews, manuscript acceptances and, yes, media storms over the latest miracle prosthetic limb controlled by neuronal activity. Such a covert, limited-participant workshop can only have been convened to try to do an end run around the actual evidence. Consider me a co-signer. Nonhuman primate research is essential with contributions of biomedical research and benefits to society.